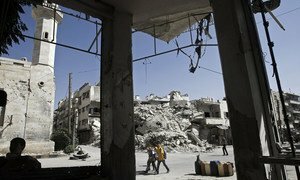 A seven-year-old child stands in front of her damaged school in IdlIb, Syria. October 2016. 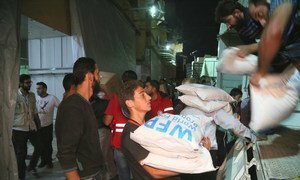 With the ingredients for a “perfect storm” brewing in the Syrian province of Idlib, the international community cannot allow civilians there to succumb to such a fate, the UN Envoy for the country told the Security Council on Friday.